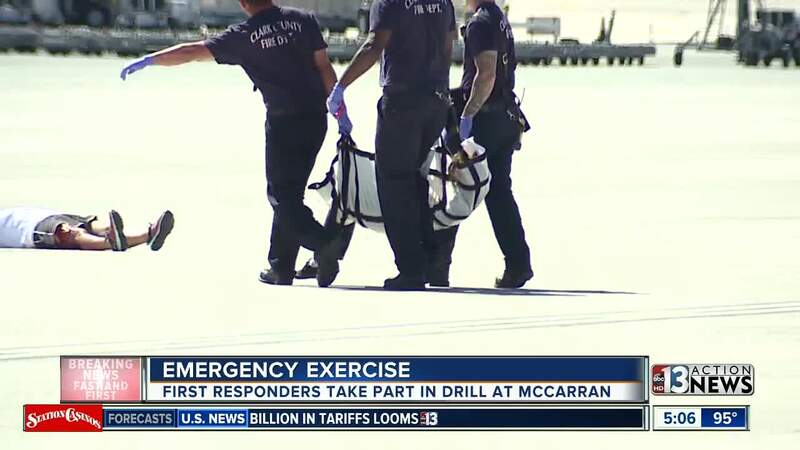 First responders and employees from McCarran International Airport participated in a mass casualty training drill required by the Federal Aviation Administration Thursday. 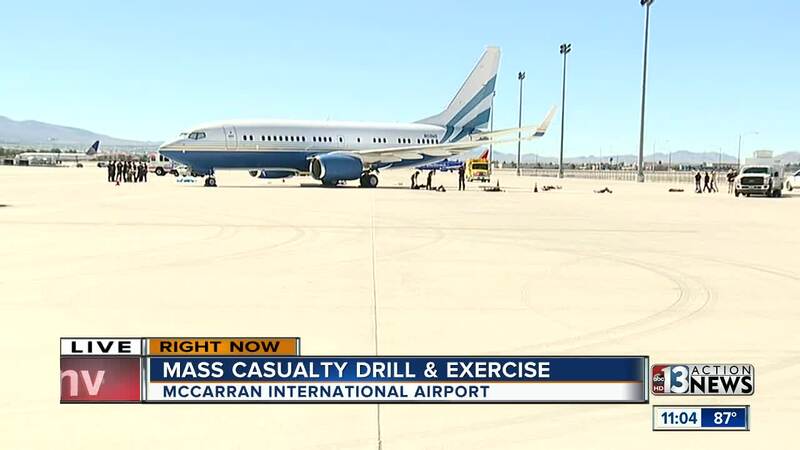 The drill was a full-scale scenario that brought in hundreds of crisis actors from Nellis Air Force Base to help train multiple agencies on mass destruction. Thursday's drill simulated a plane that had crashed with a drone near the airport. Fire departments, police, ambulance and even emergency helicopters all took part in the training. 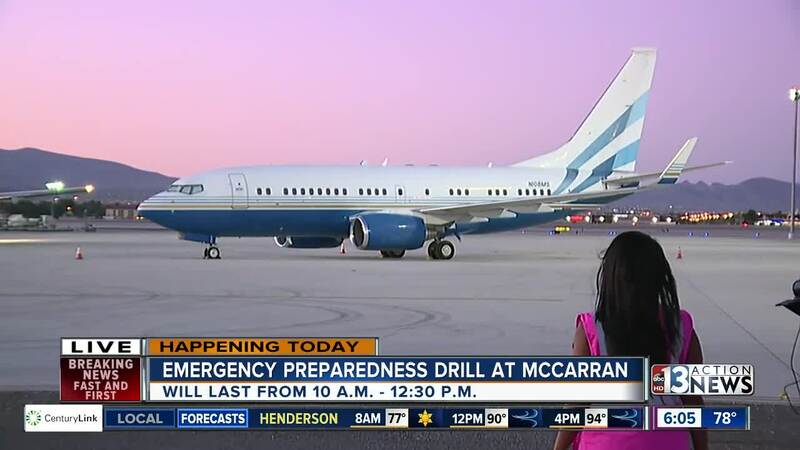 The last time the FAA required McCarran to participate in the drill was in 2015, but weeks before it was scheduled the airport dealt with a real life incident after a British Airways plane caught fire on the tarmac. The airport will be required to hold another mass casualty training again in three years.